Wow, you really hit that hard. Oh, I’m sorry that you are sick. Huh, what did you say? 4 Using what you have learned, identify each word in the sentence below. The beautiful queen was walking slowly on the cool lawn, and she was reading a long book about knights and kings which she enjoyed. *answers are on next slide…check to see if you were correct. 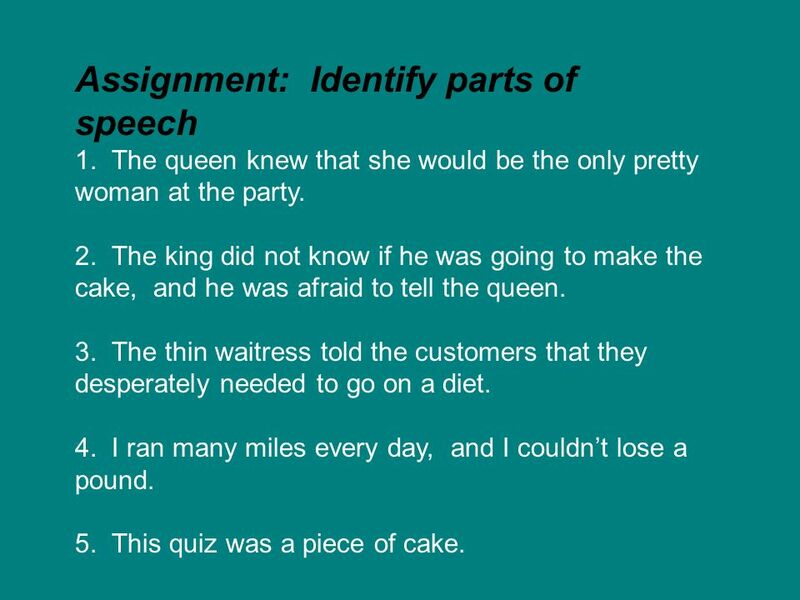 Assignment: Identify parts of speech 1. The queen knew that she would be the only pretty woman at the party The king did not know if he was going to make the cake, and he was afraid to tell the queen The thin waitress told the customers that they desperately needed to go on a diet I ran many miles every day, and I couldn’t lose a pound This quiz was a piece of cake. 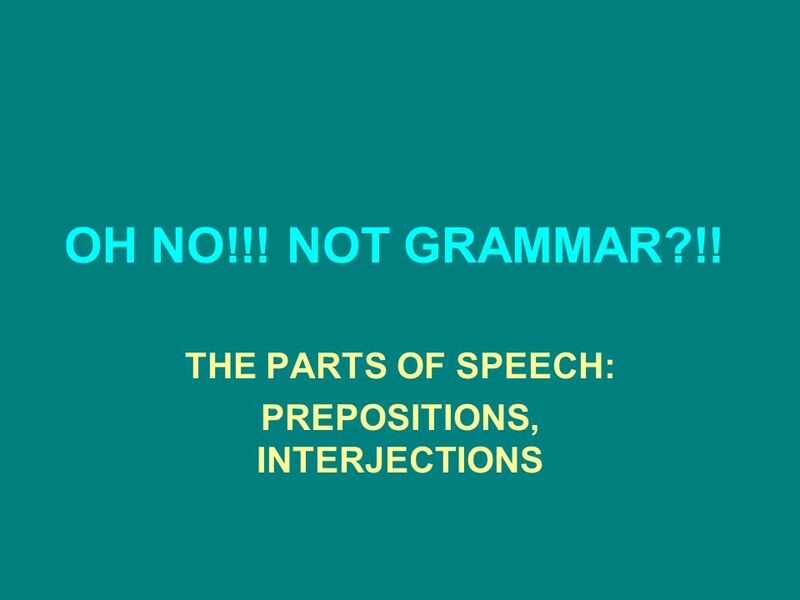 Download ppt "THE PARTS OF SPEECH: PREPOSITIONS, INTERJECTIONS"
Grammar Spinner Touch any part of the screen to begin. (Or click your mouse) Touch the screen again each time you want to spin. Created by José J. Gonzalez, Jr. Spring 2002 STCC 1 "There is no education like adversity." Disraeli, Endymion. 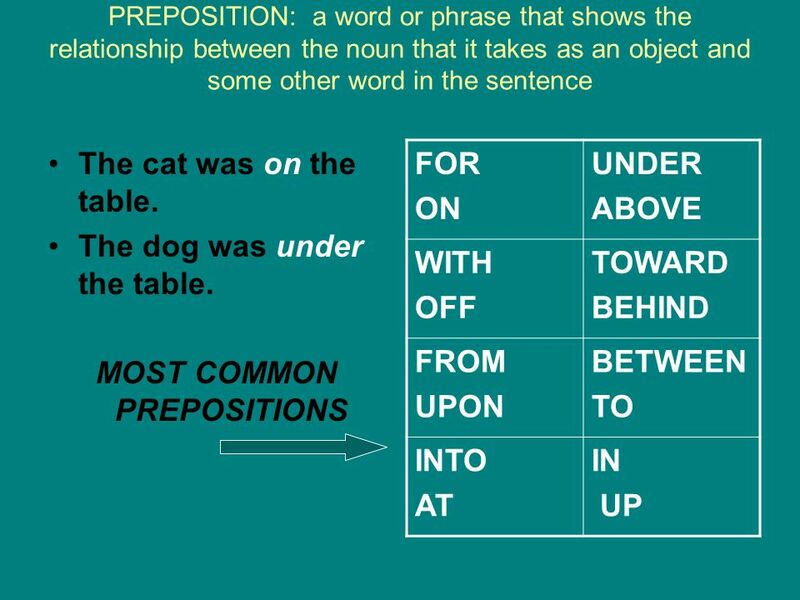 Identifying Parts of Speech & their Functions Nouns, Pronouns, Verbs, Prepositions, Adjectives, & Adverbs; Subjects & Objects. English Baseball Group 5B Mrs. Stortzum’s 4th Grade English class. 1 "There is no education like adversity." Disraeli, Endymion. Used in place of a noun pronoun. © Capital Community College 8 PARTS OF SPEECH PACVIN 8 PARTS OF SPEECH PACVIN. DoNowDoNow -Come in and sit down quietly. Please get out a piece of paper, and complete the following exercise. (You may also use your notebook, if you. 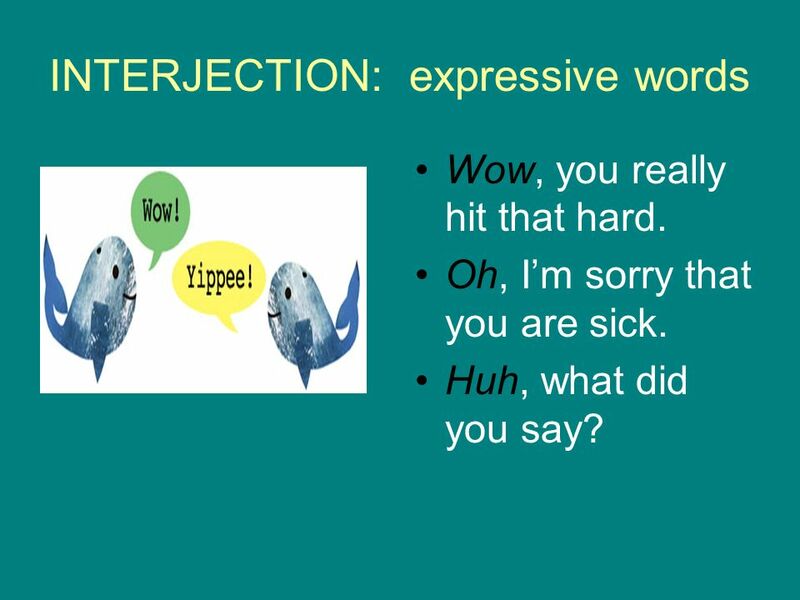 Parts of Speech It is important to understand that every word in a sentence has a job to do, a role in the sentence. English Grammar Parts of Speech. Parts of Speech Notes Parts of Speech Notes There are 8 parts of speech: NounVerbAdjectiveAdverbPronounPrepositionInterjectionConjunction No Vampires At. Rules for Longhorn Jeopardy Points to be taken away for wrong answers Make sure you state your answer in a question. Pay attention to all of the questions.